Essays on A Raisin in the Sun analyze Lorraine Hansberry’s novel that provides a look at what it means to be a black man. In Lorraine Hansberry’s A Raisin in the Sun, an intimate look at what it means to be a man, particularly a black man, is provided to the reader through the actions of the protagonist, Walter Lee Younger. With the death of his father, Walter Sr., Walter Lee has become the man of the house; he is the primary breadwinner and, as such, takes an intrinsic responsibility for his family’s living condition. He wants the very best for his wife, son, and mother, and he struggles with how to best make this happen. The life insurance check that is coming from his father’s death is what he believes will allow him to escape from the cycle of poverty he finds his family stuck within. The $10,000 will afford him the opportunity to open a liquor store and become wealthy; after all, a similar fate happened to a friend of a friend. His desire for entrepreneurship is reflected in his current occupation; he is a black chauffeur for a wealthy white man, and he wants the roles to be reversed. He even confides in his son, Travis, that he will one day return home from his office in his fancy car, greet his groundskeeper, and walk his wife upstairs to find Travis choosing between the nation’s best colleges. Walter’s perpetual desire to provide the best for his family blinds him to the risks he is willing to take with their futures. When Mama gives him the balance of the money that remains after putting a down payment on a house, she implores him to put some away for his sister’s medical schooling. Walter, however, is willing to gamble with Beneatha’s money and gives it all to a friend to start the investment process; he never once considers that his “friend” might run away with it. Ultimately, Walter stands up for his family and insists they move into the home Mama has purchased. He knows it will not be easy, but he knows it is their best chance of success; as the man of the house, he will guide them toward this new opportunity and better future. Conflict in Raisin in the Sun - American Literature courses require research papers on the novel A Raisin in the Sun by Langston Hughes at some point in every college student's journey. 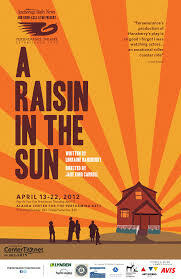 A Raisin in the Sun Characters - An essay on the characters from A Raisin in the Sun look into the rich and diverse characters that give an insight of the African American community in the urban north. A Raisin in the Sun Summary - A summary on A Raisin in the Sun examine Lorraine Hansberry’s story about the Younger family living in South Side of Chicago. The American Dream in literature is one of the subjects that Paper Master's writers have expert knowledge in. Racism is one of the most devastating factors associated with modern society. Race Matters - Race Matters by Cornel West research papers discuss race as a social problem. Concept of Race - Concept of Race research papers for sociology classes. Black Studies essays examine the interdisciplinary academic subject that combines elements of the history, culture and politics of African Americans. Self Identity Research Papers encompass a deep understanding of one's individuality, uniqueness, distinctiveness, characteristics and personality. Coming of Age and the Civil Rights Movement - Coming of Age in Mississippi by Anne Moody and the Civil Rights Movement research papers show how Moody's Memoir looks at Racial discrimination during the 1960's. American Dream American Literature - American Dream and Death of a Salesman research papers look at Arthur Miller's play as an example of the failed American Dream. Paper Masters writes custom research papers on Essays on A Raisin in the Sun and analyze Lorraine Hansberry’s novel that provides a look at what it means to be a black man.